Squad-based tactical shooters are generally challenging games that force you to survey all your options before attacking. In the case of Spec Ops: The Line, that formula excels to a whole new level when you add the unstable environment of a post-apocalyptic Dubai. With the element of sand working as an advantage one time and as an obstacle the next, the battlefield landscape constantly changes every time you play the game. Having followed The Line since E3 2010, I have continued to come up with more questions about how all these ideas will work together within the game’s context. Luckily for me, I was able to get some hands-on time with the shooter during PAX East 2012. Here are a few of my thoughts on the demo as a whole. 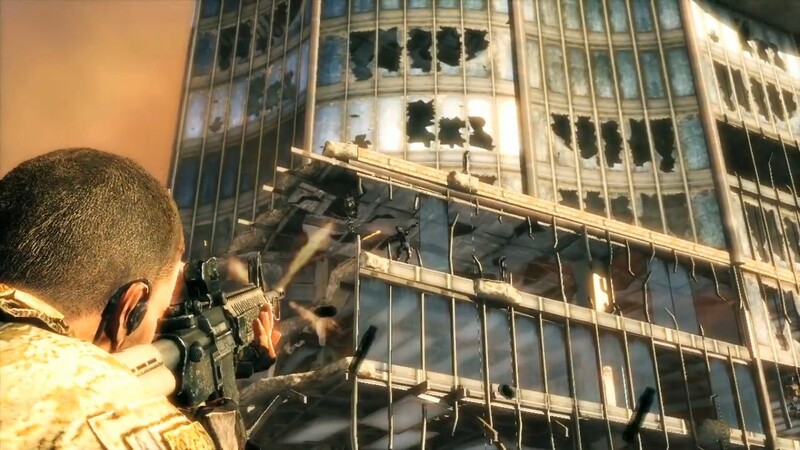 [quote-right]the battlefield landscape constantly changes every time you play the game[/quote-right]For starters, Spec Ops: The Line has a gripping storyline filled with mature themes of political unrest, death, and destruction. 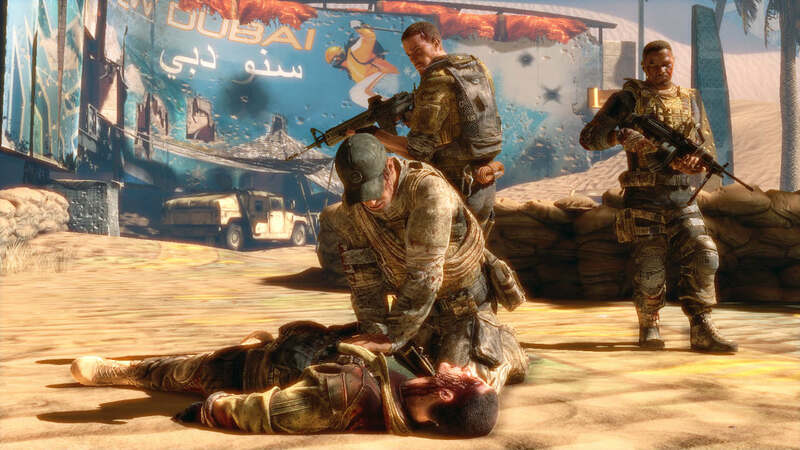 The player assumes the role of Captain Martin Walker, a Delta Force officer who travels with his team to Dubai on an undisclosed rescue mission. After an onslaught of sandstorms, the state remains in disarray and is flooded by outlaws. The presentation quality of the game remains solid thanks heavily in part to the immersive atmosphere. Also, the idea of having the character of Walker being voiced by infamous Nathan Drake actor, Nolan North, is a brilliant and already brings a professional quality to the title. The demo I played through was actually the opening sequence of what could be the final retail version of the game. Walker is aboard a helicopter firing away at an enemy chopper directly across from him. From this moment forward, you begin to gain a sense of how non-scripted sandstorms directly affect your enemy encounters. Visibility may diminish over time and you have to remain poised and ready to attack. After destroying the chopper, I got a chance to engage in some ground combat. The controls felt both sleek and responsive in relation to the animations and effects happening in real-time. There were brief scenarios where you would be called upon to instruct your squad members to take out targets that you couldn’t reach. [quote-left]controls felt both sleek and responsive[/quote-left]Unfortunately, there is no co-op single player campaign support. Lastly, the only aspect that I have yet to experience is the ability to make decisions. If done correctly, this can add further appeal and replayability to the game as a whole. Spec Ops: The Line releases on June 26th (in North America) and June 29th (in Europe) for the Xbox 360, Playstation 3, and PC.